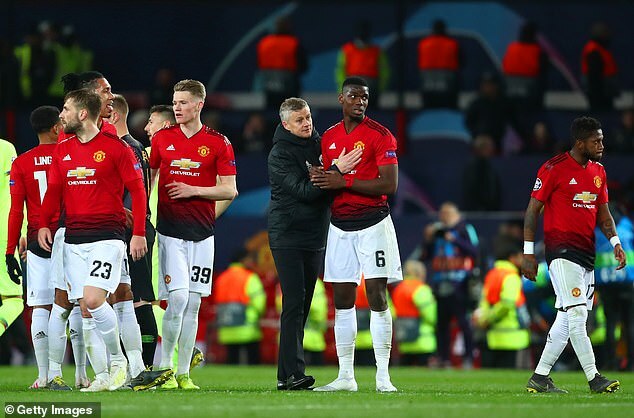 Luke Shaw’s first half own goal handed Barcelona the advantage as Manchester United suffered a frustrating 1-0 defeat in their Champions League quarter final first leg at Old Trafford. Shaw’s 12 minute deflection was confirmed following a VAR review. The Catalan giants nicked a crucial away goal in their quarter-final first leg when Luke Shaw inadvertently turned Luis Suarez’s header into his own net inside 12 minutes. While failing to keep a clean sheet against Ernesto Valverde’s men is nothing to be ashamed of, United will be disappointed with their inability to register a single shot on target throughout the entire 90 minutes. The Premier League side’s first real chance at goal came when Marcus Rashford had a one-man wall to beat from a free kick after Sergio Busquets brought down Scott McTominay outside the Barcelona penalty area. Meanwhile, Cristiano Ronaldo scored his 125th Champions League goal to secure an away goal for Juventus as they drew one all with Ajax. The hosts equalized within a minute of the second half, through David Neres’ effort, to set up a mouth watering return leg in Turin.